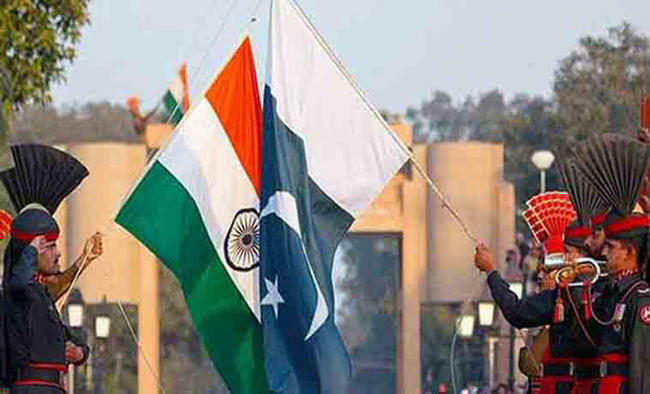 Islamabad: Pakistan on Wednesday summoned the Indian Deputy High Commissioner here to protest Indian security forces "unprovoked ceasefire violation" along the Line of Control (LoC). "The Director General (SA & SAARC), Mohammad Faisal, summoned the Indian Deputy High Commissioner J.P. Singh and condemned the unprovoked ceasefire violation, on February 7, 2017, by the Indian forces on the LoC (in Khui Ratta Sector)," a Foreign Office statement said. The "unprovoked" firing from the Indian side resulted in the death of a 25-year-old Pakistani labourer working on an under construction building, it added. "The director general deplored the deliberate targeting of civilians, which is a crime as well as violation of international human rights and humanitarian laws," the communique read. The Foreign Office urged New Delhi to respect the 2003 Ceasefire Understanding besides initiating a probe into the recent incidents of ceasefire violation by the Indian forces, the statement said. According to the Pakistan Army, Indian forces committed at least 178 ceasefire violations along the LoC and International Border last year, killing 19 civilians and injuring 80 others.